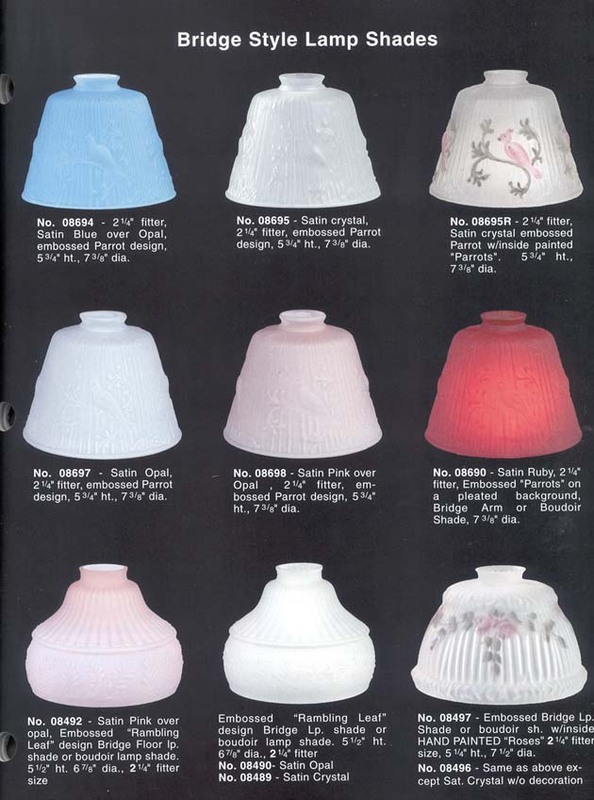 Here are some catalog pages of Bridge Lamp Glass Lampshades available by special order which takes about 10 days. 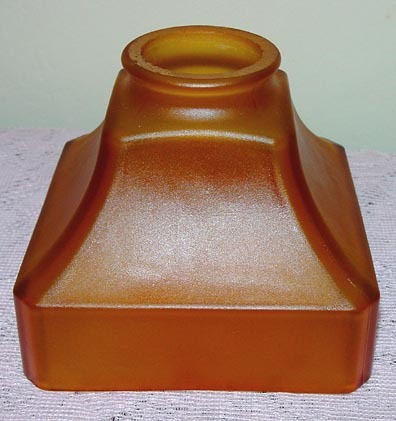 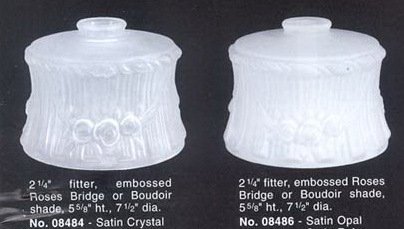 There are so many sizes, colors, and shapes available for your bridge lamp. 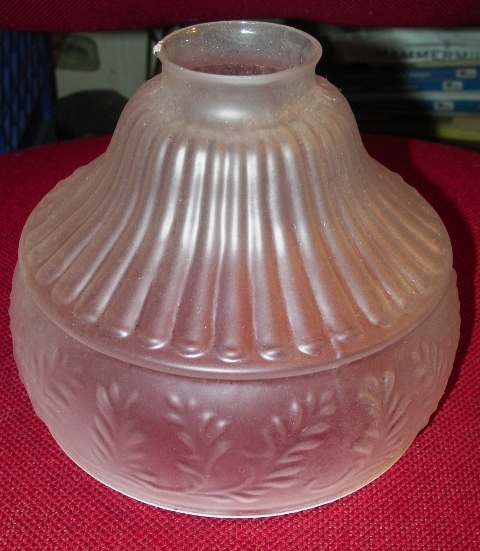 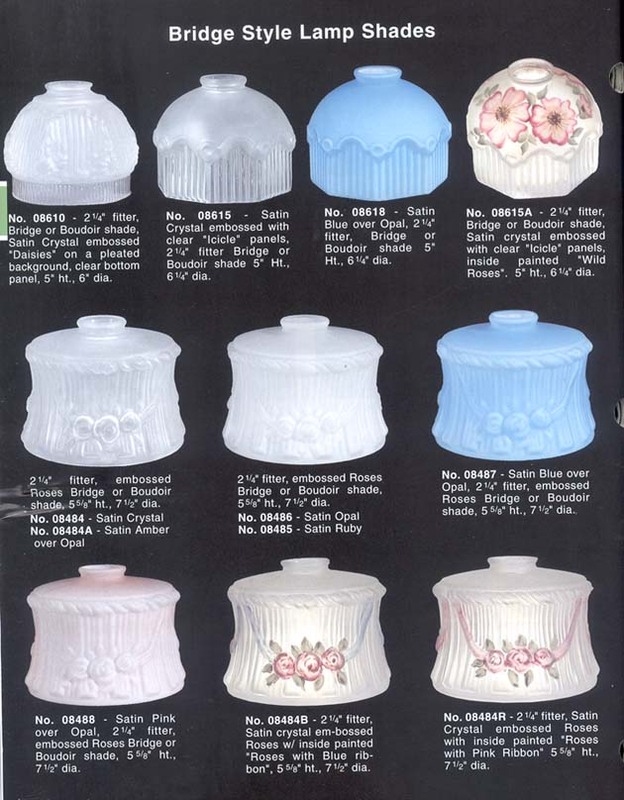 At the bottom of the page, there are three thumbnail pictures of glass shade holders. 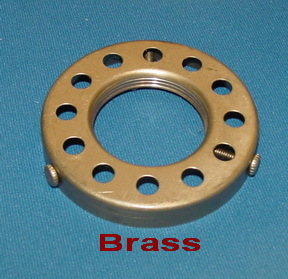 Many, but not all, are in stock. 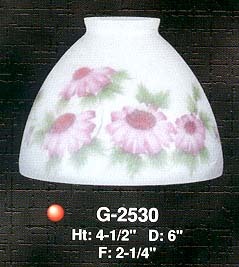 Please call to discuss your glass lampshade replacement needs. 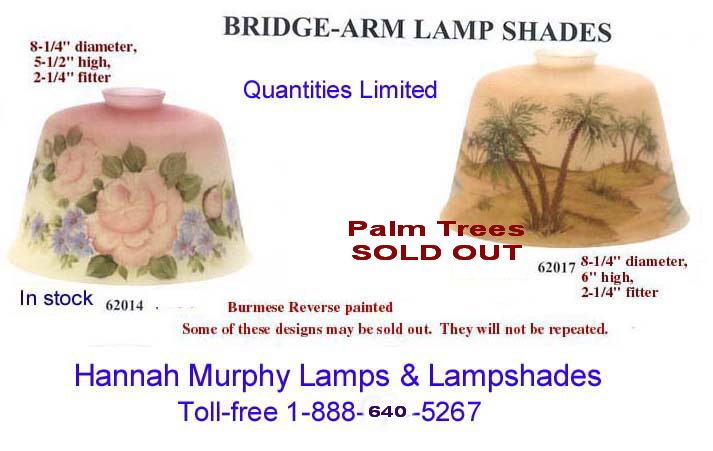 Later this year we will offer our new line of custom hand-painted glass shades. 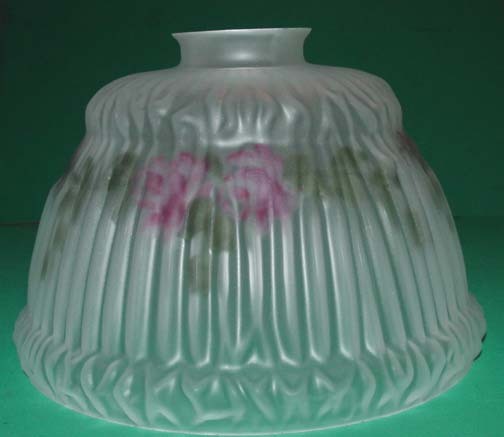 Only 1 of these left in stock. 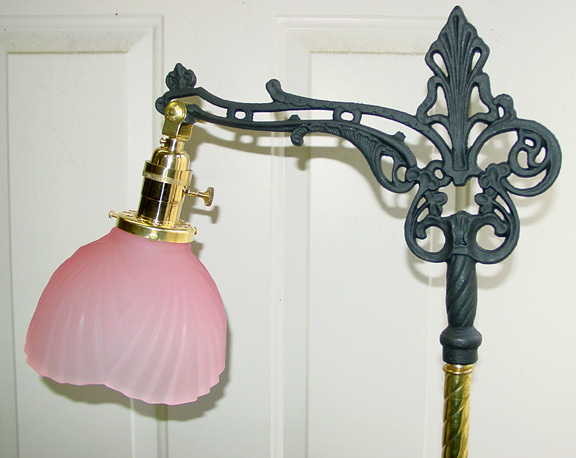 Manufacturer has discontinued this beautiful piece - bound to become a collector's item! 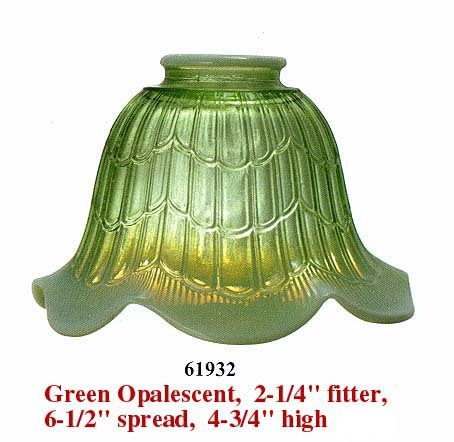 Perfect replacement for Jadite bridge lamps! 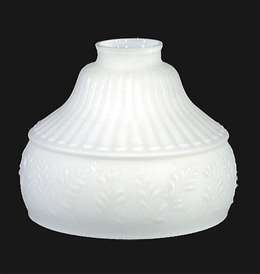 Black rim around bottom of shade is a plastic protector for shipping purposes - remove after installation. 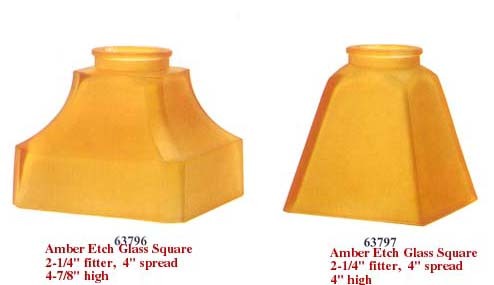 Call for prices if not shown.